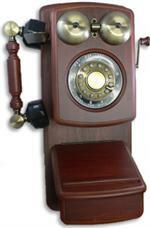 Antique wall telephones for sale are a perfect old fashioned classic replica addition to any room. 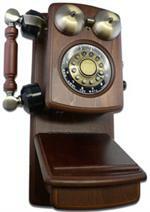 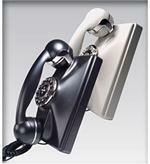 Fully functional reproduction antique wall phones for sale are made of high quality materials and hangs on the wall. 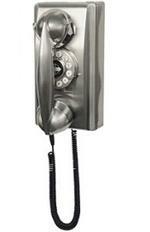 Rotary crank style old wall phones have a retro and vintage style because they are replicas of actual phones from years ago. 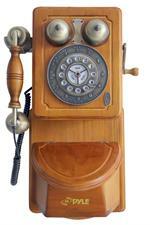 These vintage phones harken back to the 1950s and bring an air of nostalgia to any room.